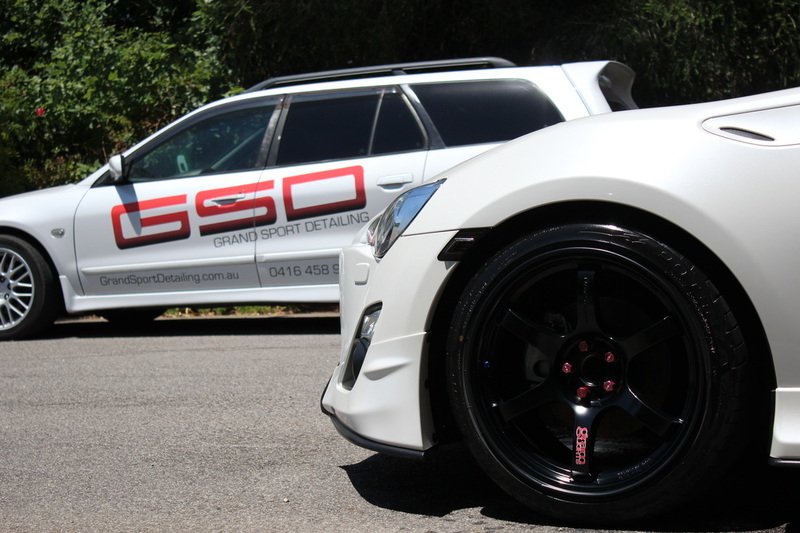 Grand Sport Detailing (GSD) is Melbourne's Finest Mobile Car Detailing company that people could ask for. We specialise in luxury, prestige, exotic etc. car detailing. We also specialises in paint correction, which is a specialised form of machine polishing to permanently remove imperfections such as swirl marks and scratches, premium car detailing and we also specialise in Paint Protection Coatings, detailing, car washing, stone chip repairs, touch ups and much more. With many experience in the car detailing industry, we realise the method and technique most of the "detailers" in Melbourne uses is extremely out of date, relying on the wrong machines which damage paintwork or using the wrong chemicals that no longer match the technology changing on the cars being sold today. In the last 10 years, the types of paint on the cars being produced changed more than 5 times, from single stage, to Clear Coat (clear over base) or dual stage and now to Ceramic Clear or Self-Healing Clear finishes. Most detailers, panel shops or spray painters are using technology to detail your car for paintwork from the 90's. Would that produce the results you are after? Most people are aware of a 'hand polish' for example but most people are not aware most modern paint finishes cannot be hand polished effectively anymore. The field of detailing is changing at such an incredible pace, only by staying in touch with the international detailing scene can you keep up with the latest methods and knowledge in detailing. We constantly research and develop as far as paint technology goes. We provide a world class and proper detailing services ranging from wash n' wax, pre-sale detailing to full concours level detail, paint correction and paint protection coatings application. In Grand Sport Detailing we uses only the newest and current techniques chemicals and equipment from industry leading brands all over the world such as Detailing Kingdom, Menzerna, Rupes, CS-II International, Meguiar's and much more. Our aim is to provide the highest standard of detailing and we look forward to detail your car.